Invoice management software helps companies automate tasks related to invoice processing. When companies or accounting departments receive invoices, these invoices typically go through an approval process, after which their information is matched with sales and purchase orders, as well as payments. Invoice management software streamlines this workflow by scanning invoices, reading and pulling data into the system, and transferring payments electronically. Some solutions offer a mobile application for remote viewing and approval, in addition to payment allocation and account selection for each payment. Once invoices are processed, they are stored either in the cloud or on premise for easy access at a later date. These tools will often allow manual data entry for invoices in addition to automatic data capture. These software solutions benefit accounting departments by eliminating the need for paper records, manual data entry, and mailing checks. A number of invoice management tools also provide features of, or integrate with, other types of software, including billing software, procurement software, and accounting software. Invoice Management reviews by real, verified users. Find unbiased ratings on user satisfaction, features, and price based on the most reviews available anywhere. Invoicing platform that helps small businesses turn estimates into invoices via online payments and pre-designed templates. Beanworks AP automates accounting workflow to empower teams to succeed. From purchase to payment, Beanworks AP integrates with your software to make accounts payable (AP) simple and delightful. Thousands of users manage AP at a fraction of traditional processing costs while remaining focused on financial management and reporting. For more information on how to save time using Beanworks AP and focus on what matters most to you, please visit: www.beanworks.com. Best suited for businesses who process 150+ invoices monthly across all entities. Coupa Invoicing software saves lots of trees. But the benefits of efficient, accurate, and timely invoice management and processing software goes far beyond saving your AP department from drowning in a sea of paper. With the Coupa online invoice management software solution, you’ll also strengthen supplier relationships, use resources more effectively, capture early payment discounts, increase compliance, and reduce business risk. With Coupa's electronic invoicing automatic capture and processing, your invoices will be ready to pay within days. And with insight from Coupa Invoicing’s dashboards, finance can optimize payment schedules to capture discounts and manage cash. Benchmarks and trend analysis will help you identify bottlenecks, while Coupa’s e-invoicing administration tools allow you to optimize without calling IT. And when audit time rolls around, you’ll be ready. OnBase Workflow offers a rich set of point-and-click configurable rules and actions that allow AP processes to be quickly automated without the need for custom programming. It automates the process of identifying data exceptions, such as missing information and PO mismatches and can automatically notify the approver to speed exception handling. It can even route invoices back to suppliers when necessary. Chrome River INVOICE offers a fully mobile invoice management solution that expedites invoice processing and supplier payments while increasing visibility of spend enabling AP teams to drive savings. Take your invoice management to the next level with an intuitive solution that simplifies the invoice management process. Suppliers will love how fast they will be paid. Approvers will love how easy it is to approve invoices, and AP teams will love how simple it is to use. By partnering with Chrome River, you can future proof your business by leveraging tools that move with you as your business grows. Chrome River delivers the long-term value you are looking for in an expense and invoice management provider. We are committed to your success. With Chrome River, you can let business flow with a suite of expense and invoice management solutions. Our suite empowers you to make insightful business decisions, mitigate risk and gain operational efficiencies as you streamline business processes. We understand you want solutions that grow with you and meet your changing business needs. Customers across several industries including Manufacturing, Transportation, Legal, Education, Energy, Technology, Travel, and much more trust Chrome River to provide future-readiness and a superior customer journey. Our end-to-end accounts payable automation solution streamlines your accounts payable process, from invoice to approval and payment. For small businesses and sole proprietorships in need of fast and accurate document reduction and spending management solutions, The Neat Company provides a cloudbased expense data and document consolidation, retention and processing platform that saves time and money while enabling collaboration with competitive insight. We take your supplier invoices and send them directly to your POS or Inventory system, product by product with all the relevant details. BillingMe is a billing and invoicing software that provides invoicing services for folks with multiple projects. Uses Paypal, Authorize.net, Stripe and integrates with Slack. Blinkbid is a photography studio software that offers several unique features to organize the chaos of bidding, production and invoicing. Manage payment processing, audits, & reporting. Tackle rogue spending and drive efficiencies with ReQlogic, a highly configurable end-to-end productivity suite that adapts to your business, delivering powerful workflow automation and enhanced visibility anytime, anywhere. Aliphia is a billing and invoicing software help users to design the invoice by adding the company name and logo. AllInvoice is a billing and invoicing software that tracks employee time on projects, create invoices, create clients and projects and track how users companies are doing. Apptricity Invoice is a billing and invoicing software that eliminates paper file searches and keeps processes running smoothly. Atkku Invoice manager is ideal for printing invoices directly from quickbooks environment and is directly integrated with Quickbooks software for accounting and bookkeeping. BeeBills is an invoicing system that is perfect for small businesses. Whether you invoice for hours, services, rentals or products; BeeBills got you covered. - Hour Logging - Recurring invoices. - Customizable invoice design. - Automatic reminders to customers. - Direct payments to you from your customers through Stripe. Biller Lite is a billing and invoicing software with features like receipt generation, barcode printing support, and product rate master. BillGrid is a billing and invoicing software that makes possible for users to manage billing and expenses electronically, track client details, collect payments, and make estimates. Billingbooth is a cloud-based telecoms billing service designed to simplify invoicing needs. BillingServ is a billing and invoicing software that helps any size business to sell, invoice, and accept payments online for the complete range of products and services. BILLIVING is a billing and invoicing software that allows users to create PDF invoices and receive online payments with PayPal/Authorize.Net. Billte is an end-to-end invoicing software that serves as a bridge between companies and consumers for bill payments. bMobile Sales is a POS software that eliminates paper invoices and printed lists of customers and products. It can perform sales transactions and account maintenance in the field using only their Android mobile phone. 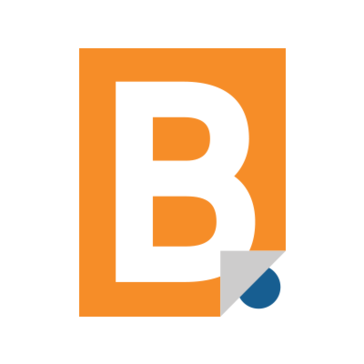 Brisk Invoicing is a billing and invoicing software that allows users to create and send invoices securely from anywhere, instantly email, and print or save invoices to PDF. Bee Invoicing is an application that simplifies invoicing, and is ideal for small businesses and contractors. With Bee Invoicing, you'll be able to easily track all customers, projects, invoices, quotes, and time, and can even generate packing lists and customer statements! Best of all, Bee Invoicing lets you get started quickly by importing Items from a spreadsheet, and Customers from your Contacts. Challan & Invoice Printing System (CHIPS) is a software suitable for small business organizations involved in trading of any products or providing services. It can efficiently keep track of all the Challans, Invoices and Payments received from your customers on day to day basis within financial periods generating all the required monthly MIS reports quickly. Making invoices, offers, managing clients in an orderly manner, it costs you a lot of time as a company. Conterra FIM automatically consolidates all forms of incoming invoices. Efficiently capture and store e-mails, PDFs, e-invoices and scanned paper to a central repository. Integrated Intelligent Character Recognition software exponentially improves data entry speed and accuracy. Integration with your existing accounting software means you only enter data once. The approval process starts automatically whenever a new invoice enters your system via fax, e-mail or scan. Corcentric removes the complexity and inefficiency from network transactions, making it easier to do more business. Streamlining accounts receivable processes by automating each step from PO receipt to payment reconciliation, Corcentric ensures accurate billing with minimal IT and personnel involvement. Corcentric Billing electronically connects sellers and their buyers within a custom private-label, cloud-based network portal that provides paperless invoicing, full visibility into invoice and payment status at any time, and valuable insight into transaction data. Specializing in receivables and transaction management systems for manufacturer distribution networks and group purchasing organizations, Corcentric not only assumes supplier credit risk by extending purchasing credit directly to members of GPOs, our supply chain financing give suppliers the option to get paid early on invoices. In addition, buyers have the option to extend payment terms so they have access to more working capital. Digital DocMan began as a basic virtual filing cabinet, converts paper into digital files and then storing them on a local server. Powerful to meet all your needs and easy to use! Optiform eobXL is a solution designed to automate transactions and accelerate billing cycles for healthcare providers. Ezy Invoice is an invoice software tool for the small and medium sized business. Hi there! Can I help you find the best Invoice Management solutions?